Those were the most convicting words I heard last night. Tim spoke at the highschool baccalaureate last night, and I was so proud to sit and listen to him speak. When I was most convicted was around the service, not during his talk, and that’s okay. Before the ceremony started a paraprofessional I was acquainted with, when I worked at the highschool the first semester of school, sat by me and wanted to know if the type of church Tim and I go to is anything like her Lutheran church. And she wanted to know what kind of church we were raised in. This lady started to talk about the differences in denominations that she noticed and got on the topic of infant baptisms. I told her that our church will do infant baptisms, but make sure that the congregation understands that when an infant is baptized it does not secure the baby’s salvation, but is a commitment of the parents to bring the child up in a Christian home so that one day their child will make the decision to follow Christ on their own, and that is how the baby will be saved. She did not like that at all. I’m assuming that Lutheran churches vary from one church to the next just like any other denomination, but she went on to tell me that she believes the infant baptism does save the baby from hell. I did not want to get into a heated conversation with her on this, but did try to help her understand that everyone has to make the decision to follow Christ on their own, which she disagreed with again. She went on to say that she knows numerous people that were baptized as infants and live into their 80s never confessing that they believe in Christ, but because they were baptized as an infant that they are saved. In her belief she understands that we are born sinful, but believes that right when someone is baptized that water has purified the person whether or not they have made the decision to follow Christ on their own. Inside I was screaming “no no no!” but not wanting to get into an argument I again told her that the parents can’t make that decision for their child. Soon after another lady from the school came over and started talking with her and that was the end of that conversation. I sat there frustrated and sad that she has been taught a lie all her life and truly believes it. The scripture reading during the baccalaureate was a great follow up to our conversation and I thanked God over and over for that, but was still disappointed in myself. We encourage our youth to share their faith with the people they come in contact with, and I feel like I fell short. On the way home last night I told Tim about my conversation with this lady and that I was timid to talk to her about this, and wanted to correct her, but didn’t want to get into a heated debate about who was right, and Tim said to me, “They deserve to hear the truth.” Ouch. I needed to hear that though. I was curious how this co-worker would react after Tim’s talk at the baccalaureate with the scriptures talking about how we have to make our own decision to follow Christ and with Tim sharing the Gospel truth at the end. Before she left she turned and told me she appreciated Tim’s message and with tears in her eyes asked for me and Tim to pray for her and her daughter who are going through a rough time right now. I have always taken for granted that if someone goes to church they understand who Christ is and what it takes to get to heaven. I know that what Evangelical churches believe is quite different from Catholics, but was still surprised to hear this last year when a couple girls from a Catholic church started coming to our church that they had never heard that Christ died on the cross for our sins so that we can spend eternity in heaven with God if we confess our wrongs and put our trust and faith in Christ. And then last night to hear another belief that I hadn’t heard before has me really thinking. Our town is filled with Lutheran churches, the majority of the people in town attend a Lutheran church or claim to be Lutheran, and I figured, that’s great, they’re going to church! But now, my heart is broken with hearing about the truth not being taught in at least one of these churches. Thanks for sharing the story and your experience. I am not sure what to type and how to respond as I am a Director of Youth & Family Minister in a Lutheran Church (ELCA). I’m not jumping to the conclusion that all Lutheran churches don’t teach the truth, it was just the church that this lady goes to, which I don’t even know which exact one. Every denomination varies greatly from one church to the next in what their teachings and beliefs are. We just have to be careful that we don’t teach, “Every belief is right, choose what you want to believe and we wont step on your toes.” There is only one way to heaven and we need to make sure that people know Christ is that way and we have to make the decision to believe and follow Christ on our own, no one else can make that decision for us. Our town is filled with Lutheran churches, the majority of the people in town attend a Lutheran church or claim to be Lutheran, and I figured, that’s great, they’re going to church! But now, my heart is broken with hearing about the truth not being taught in at least one of these churches. I guess what makes me cringe and I know (or assume that I know) why you said it … but is the implication that you hold the truth or your truth holds the truth and that truth is not being taught in another church. As I mentioned and commented on your husbands fb status, I am not sure if I really want/need to enter into this dialogue. Salvation comes through faith in Christ Jesus. It is sad that any church would sell the notion that anyone can “perform” your salvation for you – because really when we teach that when a parent gets their infant baptized that they are saved, we are teaching that the parent can save their child through the act of baptism. Everyone must work out his or her own salvation with fear and trembling – it must be personal. thanks Dana for your words! I was raised in a Lutheran church, was baptized as an infant, and had my two girls baptized as infants. I was also confirmed. 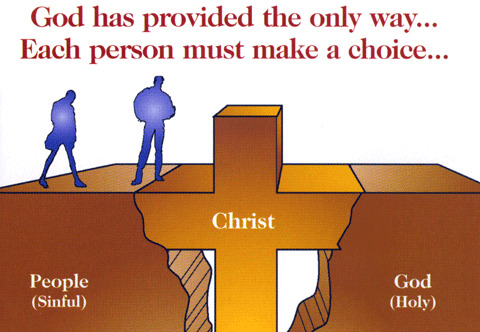 However, I was always taught that baptism itself is NOT what saves you, that you have to accept Christ as your Savior. It kind of scares me that Lutheran churches are also preaching that Baptism saves you from hell. However, I still believe that being baptized as an infant is the same as being baptized as an adult… it’s just one of those things that I think is ok for people to agree to disagree on. « Only 10 Weeks Left!